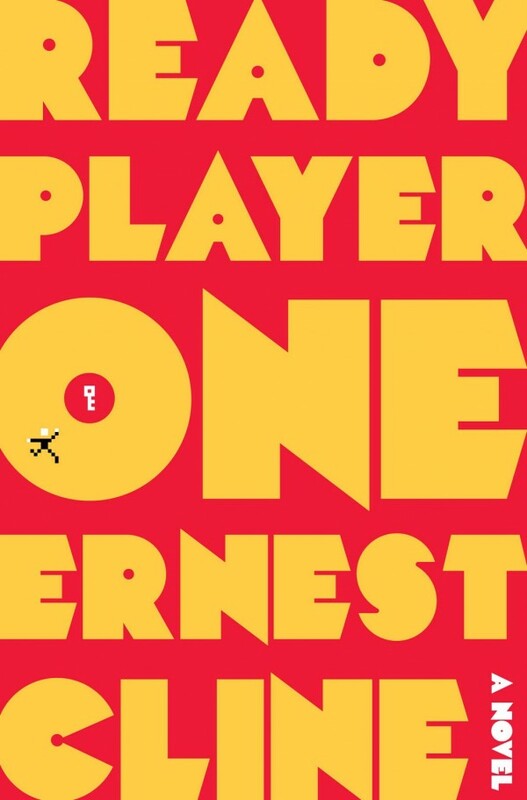 Read this book: Ready Player One by Ernest Cline. The guy has major nerd credentials. And he literally drives a De Lorean. It even has a Flux Capacitor. Not sure how this helps his writing, but since it took him ten or so years to finish his book, I’m guessing it would create more problems than it would solve. I drove up to Petoskey the other day since one my favorite authors was driving over from Wisconsin to help promote Cline’s new book (as well as sign some of his own books). I do not like driving (but I’d probably love it if I had a De Lorean with a Flux Capacitor) so 2 hours feels like forever to me. I do not like crowds either (he is rather popular). And I hate being late. I don’t mention all this because I want to share this information, but to demonstrate how much I respect this author: I’ll drive hours through summer tourist traffic, show up nearly two hours early and awkwardly walk around the store while everyone is setting up, and then sit in a crowded bookstore and wait in line to get a signed book. Sitting in my folding chair I begin to read Earnest’s book (Ready Player One if you’ve already forgotten). I make it to page 56 and then I am actually a bit disappointed to see the event is actually starting. Meanwhile, all sorts of nerds and nerds-posing-as-real-citizens (aka clean cut, nicely dressed) have filled all the seats and about 15 or so are standing in the back. That’s right. I love the book from the start and I am actually annoyed that my favorite author is about to start cracking jokes, telling stories, and answer questions. Bravo Mr. Cline. Did I mention he drove all the way from Texas in a De Lorean? 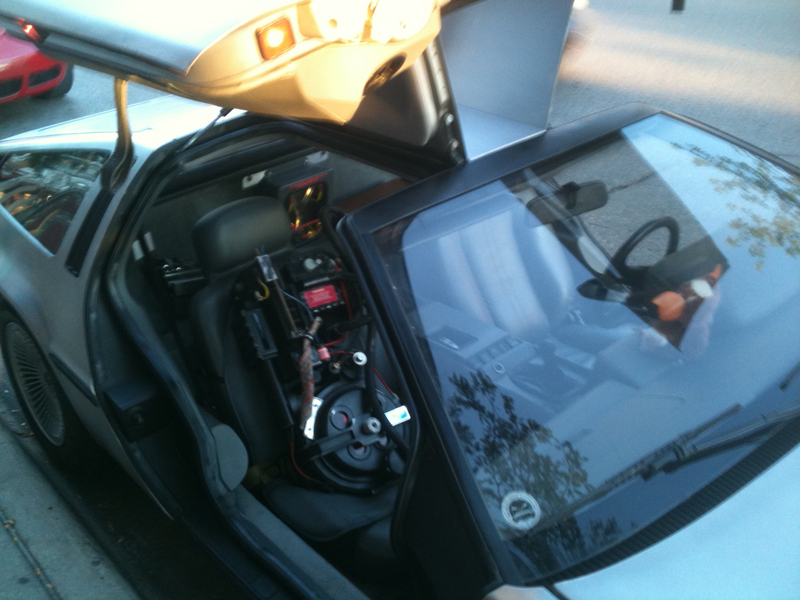 You know… the car from Back to the Future. (You can see more photos of it at his blog: http://www.ernestcline.com/blog/.) It is worth mentioning that this guy got pulled over on his way to Michigan for not using his blinker when switching lanes (or something like that). The officer’s true reason was that he was driving a De Lorean. More officers came to take photos when they found out it has the Flux Capacitor. Earnest also let people sit in the car and take photos. He also wrote the screenplay for Fanboys. It has now moved to the top of my to-watch list. I drove back to home and then stayed up until 3:30 a.m. finishing the book. I give the book a hazy 5 stars out of 5 stars. I won’t go into details on the book other than to say if you enjoyed the video games, pop-culture, and other nerd-like things from the 80s (and 90s) and you enjoy science fiction then you will love this book. The bookstore Mclean and Eakin hosted the event and did a wonderful job. You can even order online from them… Ready Player One, The Name of the Wind (Patrick Rothfuss), and buy your eBooks. All from an independent bookstore!